TunedUp Media is a full service digital marketing and branding agency focused on providing creative digital marketing solutions, delivering results for our clients while supporting causes driving social change. We'd love to hear from you. Please reach out to us anytime. How much value email marketing can deliver for your business. According to a recent survey, Email Marketing has been found to generate a 3800% ROI. People who buy products marketed through email spend 138% more than those who do not receive email offers. More than 21% of all messages are opened within the first hour of sending. 72% of customers open an email due to the discount it offers and 62% customers open due to the personalized subject line. Segmenting your email list is proven to increase your email open rates, boost your click rates, and decrease your unsubscribe rates. MailChimps says that the best time of week to send emails is on weekdays versus weekends. 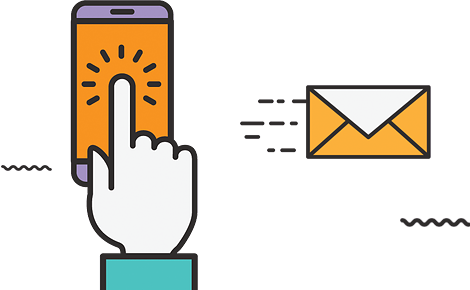 According to the folks at EmailMonday.com, mobile email accounts for 15-70% of all email opens (depending on your target audience, product and email type). BlueHornet says that 67.2% of consumers use a smartphone to check their email. Sign up to receive TunedUp Media marketing content, events, and tips. TunedUp Media is a full service digital marketing and branding agency focused on providing creative digital marketing and branding solutions for our clients while supporting great causes driving social change.